Many midwest states have already flooded. Will there be more? NOAA released their flood and climate outlook for the USA for spring 2019 this past week. According to the outlook, a wet winter has set up much of the Great Plains for spring flooding in 2019 (see Figure 1 below), with major flooding likely along the Red River over the Dakotas, and the Missouri and Mississippi Rivers. Moderate flood risk extends upstream of those rivers to their tributaries, including the lower Ohio, the Cumberland, and Tennessee Rivers. Minor flood risk covers nearly the entire country east of the Mississippi as well as parts of Washington, Oregon, and California. Figure 1. U.S. areas at risk of minor (light blue), moderate (blue), and major (dark blue) flooding from March through May 2019. (courtesy: Climate.gov). What about expected temperatures? Figure 3 below shows below-average temperatures are most likely in the Central and Southern Plains, where the saturated ground will slow down the seasonal warm up. Odds for a much warmer than average spring are elevated above background probability levels in Alaska (where lack of sea ice in surrounding waters allows more rapid seasonal warming), in areas east of the Mississippi, and in the West and Pacific Northwest. Figure 3. Shades of blue and red show the chances of an unusually wet or dry spring (April-May) in 2019. "Unusually wet or dry" means seasonal average temperature in the top or bottom third of the climatological record (1981-2010). Darker colors mean higher chances (greater confidence in the forecast), not how warm or cool the conditions will be (courtesy: NWS CPCI). For comparison, Figure 4 below shows the spring 2018 flood risk over the USA showing that this year’s flood potential is much greater, unfortunately. Figure 4. U.S. areas at risk of minor (light blue), moderate (blue), and major (dark blue) flooding from March through May 2018. (courtesy: Climate.gov). Generally, the probability of below average temperatures (as seen in Figure 5) is moderate over most of the central areas of the USA, stretching from Texas northwards into the Upper Plains and the Midwest. Confidence is high for above average temperatures over Alaska. Confidence is low to moderate for above average temperatures over the West Coast, including western Arizona and western Nevada and much of the East Coast form Florida northwards to Boston. The remainder of the areas between the above or below normal temperatures should experience normal temperatures for this time of the year. The precipitation outlook for the next 6-10 days (Figure 6) shows a low probability of below average precipitation over a small area including North Dakota and northern Minnesota. In general, the rest of the country has a low to moderate probability of above average rainfall, with the highest probabilities over central California and the southern Mississippi River Valley. Washington, Montana, northern South Dakota, southern Minnesota, northern Wisconsin, southern California, and southern Arizona will experience average precipitation for this time of the year. Figure 7 shows that most of the expected weather hazards over the United States in the next 3 to 7 days. High winds are expected over the far western Aleutian Islands of Alaska on the 25th March. Heavy precipitation is possible over Northern California and the Northern between the 25th and 28th March. Much above normal temperatures are expected over northern Alaska between the 27th and 28th March and over much of the Northern Plains states and the Midwest from Nebraska to Wisconsin between the 27th and 28th March. Flooding is possible over a large area over the upper Plains States and Midwest including Iowa, much of southern Wisconsin and Minnesota, central Michigan and northern Illinois. Flooding is also possible over much of far northeastern Virginia, Maryland, stretching northwards into western Pennsylvania, New Jersey and the southern areas of New England. Flooding is currently occurring over much of the central and southern Mississippi River from Kentucky southwards into Louisiana. What can ContactRelief do for you? 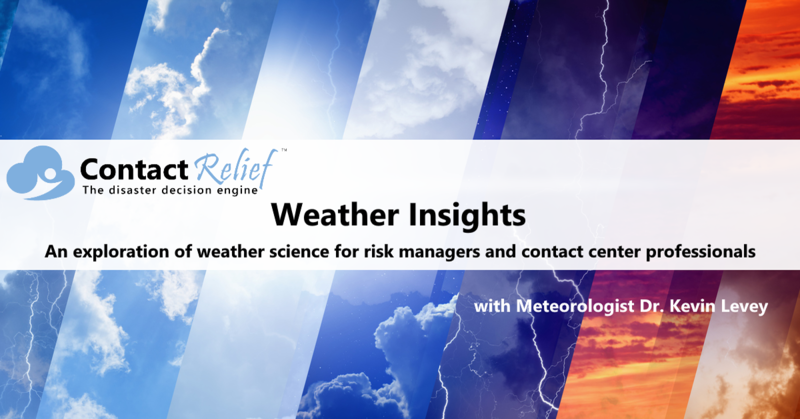 Are you ready to see how ContactRelief can shape your disaster operations strategy? Schedule your customized demo to see firsthand how ContactRelief can reduce your workload, protect your brand and improve your contact efficiency.